Application lifecycle management (ALM) suites enable the development of software applications from conception to delivery. The ALM suite creates an ecosystem in which users can collaborate and complete tasks while creating or improving software. ALM suites define processes for the design, testing, deployment, and management of software applications, and they provide integrated features for development, quality testing, requirements management, and project management. ALM suites can be used by different departments throughout the software creation process; developers may use it during the software’s creation, then product managers or quality assurance supervisors can use the suite to monitor the product after deployment. ALM Suites can apply to the creation and monitoring of a range of software projects and are used by employees in different roles throughout the development lifecycle. ALM suites often integrate with or share many features of project management tools. It will often include or integrate with design and development software such as integrated development environments or prototyping software. ALM Suites reviews by real, verified users. Find unbiased ratings on user satisfaction, features, and price based on the most reviews available anywhere. Helix ALM (formerly TestTrack) is a modular Agile project management solution that lets you centralize and manage requirements, test cases, issues, and other development artifacts — and their relationships. -Helix RM for requirements management -Helix IM for issue management -Helix TCM for test case management Helix ALM's modular structure allows you to license only the capabilities you need now, and easily add others later. With Helix ALM, you can: -Reduce product development risk by increasing visibility into project health. -Enable collaboration across disparate teams and departments. -Automate traceability across all work items and data — from requirements capture and risk analysis through testing and defect resolution. -Couple with JIRA via Helix ALM's out-of-the-box integration. When you need to manage your entire project lifecycle, SpiraTeam is the solution. It covers the entire SDLC from requirements definition, through development and testing, plus support and maintenance. With functionality including: task estimation and management, project management, test management, bug-tracking, source code and build management, document collaboration and real-time chat. SpiraTeam has the entire process covered. Polarion ALM gives organizations one unified solution that delivers project transparency through real-time aggregated management information. PractiTest is an end-to-end QA and Test management solution, designed to help users control the testing and development process, focusing on how to manage projects and its information, and how to communicate the outcomes of testing to everyone in the organization. Integrations are available with all the leading bug tracking, automation and CI tools. The PTC Integrity product family provides a comprehensive set of Application Lifecycle Management (ALM) and Systems Engineering capabilities that enable cross-discipline collaboration, improve time-to-market, streamline compliance, and reduce product risk. Simplify the complexity involved in developing today's complex engineered products, including smart, connected products. Unlock engineering data across various data sources to make better project decisions Improve engineering agility Reduce the time spent finding, querying, and analyzing engineering data and its relationships. Increase innovation Focus on new ideas and improvements instead of trying to find information and report progress. Demonstrate compliance Access views of cross-tool and cross-domain data in the context of compliance standards. Accelerate time to value Use the cloud to get up and running faster and focus on technological innovation. Make the right decisions Gather meaningful data with dashboards and analytics to help you respond rapidly to both positive and negative indicators in your projects. When you need to manage the testing of your project, look no further, SpiraTest is the premier test management and quality assurance solution for companies, organizations and teams of all sizes. With an open architecture and vast library of plugins for bug trackers (JIRA, bugzilla, ...), automated testing tools (Selenium, TestComplete, ...) and load testing (NeoLoad, JMeter, Load Runner...), SpiraTest will transform your testing process with immediate ROI. VMware Mirage provides next-generation desktop image management for physical desktops and POS devices across distributed environments. Automate backup and recovery and simplify Windows migrations. ReactiveX is a library for composing asynchronous and event-based programs by using observable sequences. Integrated software for developing cross-platform applications. ALMComplete is a streamline software delivery and improves quality by understanding risks, costs, and schedules. DreamCatcher Agile Studio is a requirements-centric Integrated Agile Suite that manages multiple aspects of the SDLC, harnessing the synergies between them. DreamCatcher helps you define and visualize product features, define and manage technical design, defects and collaboration. DreamCatcher helps you improve your speed to market, increase efficiency and lower the delivery risk through modern, efficient and intuitive tools. Micro Focus Application Lifecycle Management software (ALM), is a unified platform designed to help teams prioritize, align and focus their project activities, provide actionable insight, and fosters the re-use of assets from requirements through development, testing, and readiness for delivery. Ably is a realtime data delivery platform providing developers everything they need to create, deliver and manage complex projects. Ably solves the hardest parts so they don’t have to. ACTICO Rules is a workflow management software that includes a business rules management system (BRMS) with a graphical approach. It supports business and IT users throughout the entire process of authoring, managing and automating business rules. AGILINGO is a light weight, ALM solution designed with agile principles .AGILINGO's streamlined, return optimized wizards give you piece of mind in knowing that your ALM solution is not bloated with unnecessary artifacts and processes. AppMatrix Engine is a lifecycle management tool to manage the mobile experience quickly and easily. Blameless is a reliability orchestration platform that helps teams perform at their best through SRE. CASE spec is a new kind of lifecycle and requirements management tool. With it, you can manage any project artifact with complete traceability. Project artifacts can include Requirements, Test cases, Use cases, Issues, Bugs, Tasks and any other. 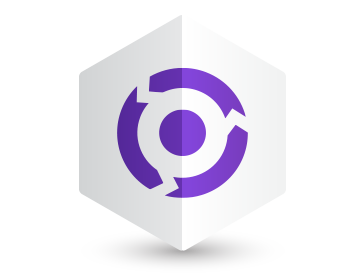 Cherry ALM (Application Lifecycle Management) is a software for collaboration, based on open source software. Code Effects is a XML-based .NET business rules engine used by governments and Fortune 500 companies all over the world. Dativery is a data integration platform. Anakage offers bot-assisted self-service and automation solutions designed to help companies reduce L-1 incidents and support costs. Enov8 is a unique software engineering house providing Enterprise IT Environment Management Solutions Including IT Disaster Recovery, Enterprise Release Management and Test Environment Management. Habitat is open source software that creates platform-independent build artifacts and provides built-in deployment and management capabilities. IKAN ALM, a web-based Application Lifecycle Management platform, enables both standard and agile development teams to set up customizable software life cycles, automate build and deploy processes and manage approvals/notifications. Kovair ALM Studio is a comprehensive Application Lifecycle Management (ALM) product that can provide all the development functions from Requirements to Release with complete capabilities. This includes process workflow, project management, reports/dashboards and 3rd party tools integrations. With capabilities like real-time cross-tool data based reports, dashboards, and bi-directional traceability cutting across all phases of ALM, Kovair ALM unifies all phases of Software Development Lifecycle - SDLC and keeps every stakeholder informed about the development progress, product quality and release predictability. Kovair also supports integration with 3rd party application development and IT tools from popular vendors like HP, IBM, Microsoft, Atlassian, BMC as well as Open sources to provide customers a wide range of solutions. All these capabilities of Kovair ALM lead to better governance and team productivity across project lifecycle which are crucial to release quality and on-time delivery. Akana's (formerly SOA Software) Lifecycle Manager enables enterprises to collaborate between business, developers and IT operations, resulting in rapid development and deployment cycles while increasing reliability, stability and availability of their APIs and supporting assets. LiveCompare is a smart lifecycle management software for SAP applications. McCabe CM manages and tracks the application lifecycle from requests through production. It allows members of the development, test, and release teams to select and migrate changes forwards, backwards, and sideways across the versions and the application lifecycle. Mainframe Express Enterprise Edition delivers a complete mainframe development environment on Windows. You could increase your developer productivity by over 35%, simply by off-loading your mainframe application development environment onto Windows. The Mitsubishi Adroit Process Suite (MAPS) is a life-cycle software tool that offers value along the entire value chain. It addresses the shortcomings of most PLC SCADA integration tools in that it offers value to the engineering and integration phases. It also extends the integrity of the as delivered solution and offers customers the ability to handle the normal extensions and maintenance of any automation solution.